First impression and without context or any background info, this looks a little dull to me. 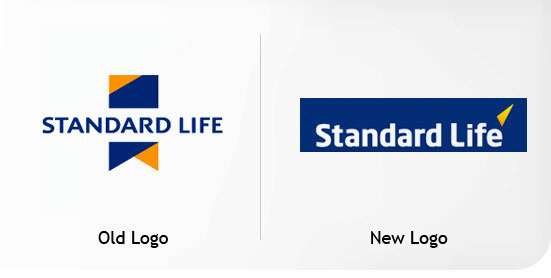 I have always like the previous Standard Life logo, strikingly classy and functional. Am sure the new logo works well in application, but doesn’t work for me on it’s own. Feel’s too tight in this blue box, and the yellow flash just feels odd. Maybe there is a reversed blue text version without the container, this could look better I imagine, but still not as striking as the original.